The Mumbai student is back in the spotlight again, this time for winning a gold at the International Physics Olympiad (IPhO, which was held in Croatia. Sarda is the first Indian girl to achieve this feat -- she stood 12th among the 376 students from 82 countries and first among the girls. 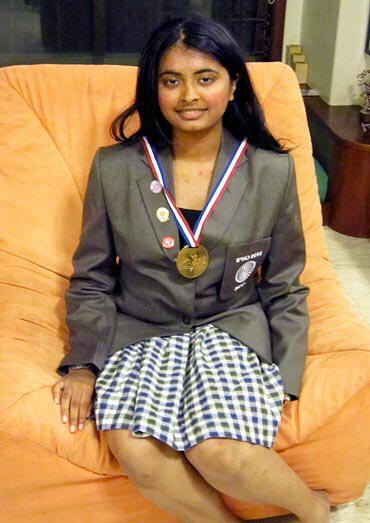 In 2006, Neha Rambia was the first girl to participate in the Olympiad and had won a bronze medal. 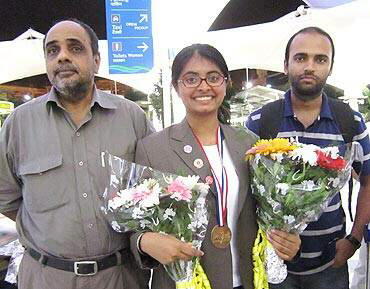 The 18-year-old wiz beat over 40,000 students across the country to make it to Indian contingent. When she qualified, she also became only the second girl to represent the country. How did you prepare for the International Physics Olympiad? The preparations for IIT-JEE and International Physics Olympiad were similar, except that the latter is more advanced. Besides attending the JEE coaching classes, Iconducted extra experiments in my college (Sathaye College, Mumbai). The college had opened up its labs for me and since it is affiliated to the degree college too, I was able to conduct experiments that were meant for final year BSc students as well. Then there was also a one-month special training programme at the Homi Bhabha Centre at TIFR (Tata Institute of Fundamental Research) in south Mumbai. Was it difficult to balance your studies, IIT-JEE and Olympiad preparations? Not really. You don't have to study all day and solve all problems -- least of all for the Olympaid. It isn't your regular exam. The IPhOrequires creative problem solving. What do you mean by creative problem solving? In the theory part, you are given five hours to solve three questions. These are real life problems where you have to make assumptions and create a model to find a solution. It isn't like you have a formula and data and you simply plug the variables. You have to figure out how physics applies to it in the first place! Can you give us an example of the questions you had to answer? (One of the) problems we were given had to do with constructing the most efficient chimney for a furnace that emitted hot gasses. They had given us some basic guidelines but we had to calculate the specifications of the chimney. The second part of the problem was to make a solar power generator and calculate the efficiency of that. There was no direct application of what we had learnt through the years in physics. You had to think for yourself and come up with a solution. Can you offer five tips on how young students should beat stress? Do what you enjoy. You will not excel if you insist on studying something you don't like. Quality is more important than quantity -- study properly for one or two hours than haphazardly for ten to twelve hours. Try to enjoy yourself and have fun. When you look back at your years in college you shouldn't think that you have wasted them. This applies especially to people who spend two years preparing for JEE. Don't bother trying to understand the paper-setter's mind. Study for the sake for studying, not simply because you have to pass your exams. 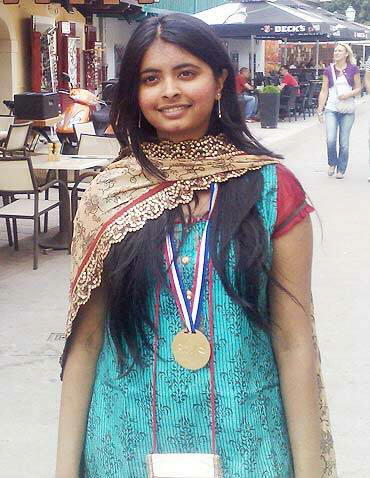 Aakanksha Sarda, the topper amongst girls at the IIT JEE, shares her success mantras. It is a busy day at IITians PACE, a Mumbai-based coaching academy that trains IIT aspirants. There has been a steady stream of journalists queuing up to meet some of the toppers who have been tutored at the academy. 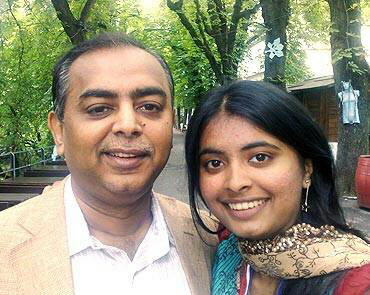 One of them is Aakanksha Sarda, a student of Sathaye College. Aakanksha has stood first amongst the girls who appeared for the Joint Entrance Examinations (JEE) and her all-India rank is 18. Dressed in a pair of fashionable gladiator shoes and sunglasses resting on her head, Akanksha looks everything like a diva should. Beneath her fashionable exterior however lies a passionate physics student. Being in the limelight isn't new to Aakanksha. 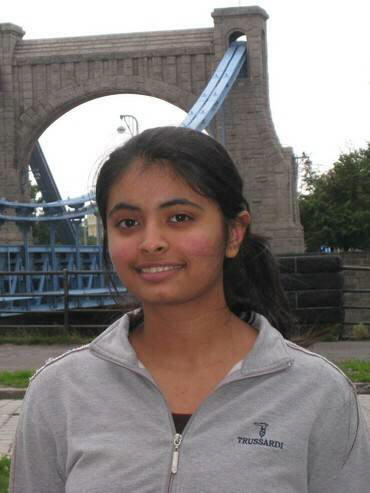 She was recently in the news for being selected to represent India at the International Physics Olympiad that will be held in Croatia in July. Aakanksha completed her schooling from Mumbai's Jamnabai Narsee School where she topped with a 97-per cent score and recently cleared her HSC exams with a score of 89.5 per cent. "I never timed my study sessions," she says. "There were days when I studied for half an hour and other times when I studied for over ten. I never followed a timetable. The only time I'd stop is when I would feel exhausted. "You have to love what you study. If you don't, no matter how much time you spend with your books, you will not get the desired results. (Many of the toppers) are where we are because we study for the love of it and not because we have an examination ahead of us. That is what makes the difference." The 18-year-old who is representing India at the International Physics Olympiad once hated the subject. She says, "I almost took up Arts just because I didn't like it. But my mother insisted that it might be something to do with the way physics was taught in school. Around the time I attended an orientation lecture at IITians PACE and have never once looked back." She points out that one of the biggest flaws in the schooling system is the almost obsessive need to stick to the syllabus. "If you ask something out of the ordinary you would be told that it wasn't in the syllabus. It was very putting off. However here (coaching class) and at the (Olympiad training) camp, you are encouraged to ask questions." While she admits that her first year in college was most fruitful, it was also when she was recovering from a culture shock. Her school, Jamnabai Narsee counts some of the city's affluent children amongst its students. Her college, Sathaye on the other hand attracts most of the studious lot of children. "There weren't many extra-curricular activities in college. They didn't even have a Student's Council! Back in school, I used to participate in every extra- and co-curricular activity. So the shift came something as a culture shock. I made up for it by participating in activities outside college. "I started learning French and Chinese around that time and also participated in the Linguistics Olympiad," she says. In college, she scored 89.5 per cent, a modest tally by her standards. The topper says that the last six months have been the most difficult. "I got malaria thrice during this time. The third time it was in the middle of my board examinations. They had to carry me out during one my papers," she says adding that you cannot afford to dwell on such things. Aakansksha adds that while there was never a time when she failed an exam, she did do poorly once in school. "Thankfully everyone supported me and I took it as a learning experience. If I were to advise someone on setbacks, I'd say you have to think of all the successes you've had, learn from your mistakes and move on." With the JEE behind her though, Aakanksha doesn't plan to get into IIT at all. "I was contemplating between MIT (Massachusetts Institute of Technology) and Stanford. After visiting the two institutions I've decided to get into MIT (where she has already been admitted into the undergrad programme). The reason I didn't want to get into IIT was because I am still unsure of what I want to do. MIT will give me the option of switching not just courses but also streams. If I want I could walk out with a degree in linguistics or economics. It also offers me to take courses in the sciences at MIT and humanities at Harvard." Ask her why she decided to appear for the JEE and she says, "It is supposed to be the toughest exam in the country. It was a challenge I wanted to take up. Also I was prepared for it so wanted to give it a shot anyway." Don't make IIT the be all and end all of your existence. There is no point in studying day and night for it because it doesn't help. Live your life so when you look back at these two years you will not regret having spent them with books. If you don't get into IIT don't be disheartened. Remember there are successful people who weren't part of IIT or weren't engineers either. So take it easy and enjoy what you study.